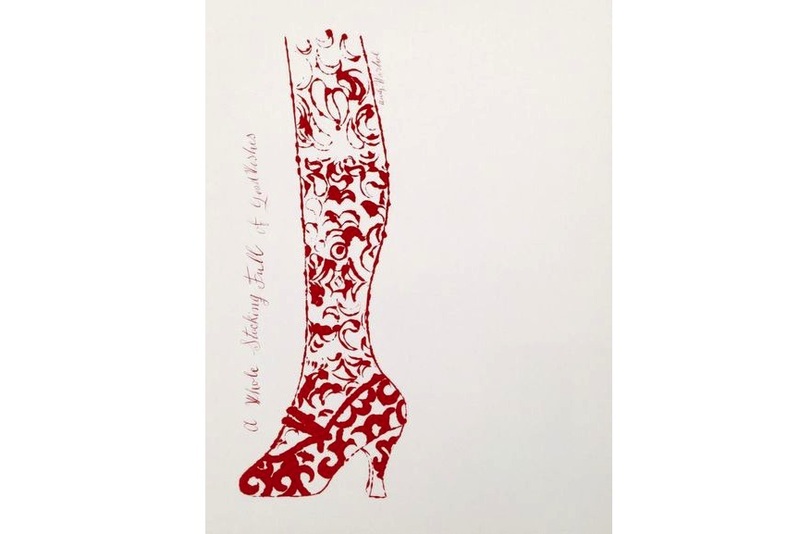 Celebrating Warhol's 90th Birthday With These Artworks For Sale! One of the most controversial artists of the 20th century, Andy Warhol played a major role in the development of Pop Art, bringing popular styles and subjects into the exclusive salons of high art. Obsessed with celebrity culture, consumerism and mechanical reproduction, the artist created some of the most iconic images of the 20th century. 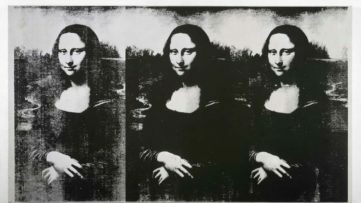 Over the course of his prolific career, the artist expanded the implications of Pop Art into other spheres, further eroding borders between the worlds of high art and popular culture. 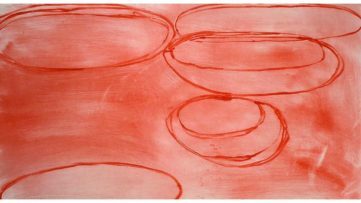 In 1987, the artist passed away after a brief illness following routine gallbladder surgery. This year, Warhol would have turned 90. To celebrate his birthday, we bring you ten of his iconic works that you can own right now. Featured image: Andy Warhol, between 1966 and 1977 by Jack Mitchell, via Wikipedia. All images courtesy of their respective galleries. The work Howdy Doody is part of a series of ten screenprints in Warhol’s 1981 Myths portfolio. Exemplifying the artist’s unerring sense for the powerful motifs of his time, the series paints the universal view of America’s once captivating past. Taken from the 1950s television or old Hollywood films, the series brings a range of beloved characters such as Mickey Mouse, Santa Clause, Dracula, The Wicked Witch of the West and Uncle Sam, each representing a different facet of Warhol’s personality. 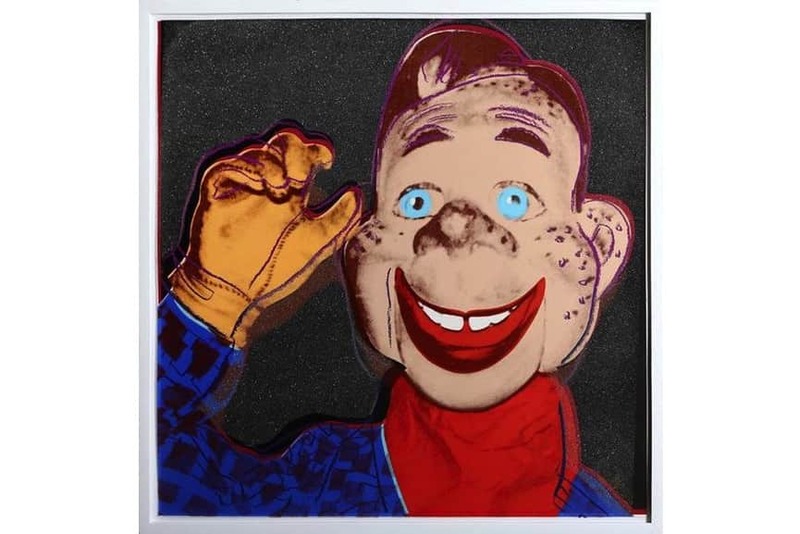 The screenprint Howdy Doody is based on a photograph of the original Howdy Doody taken by Warhol himself. Andy Warhol was a major fan of Christmas, and this seasonal theme makes a substantial part of the legendary artist’s oeuvre. Before becoming one of the most decadent individuals of the 20th century art world, he was the most successful and highly paid commercial illustrator in New York. Upon arriving in the city, Warhol began working for the Fifth Avenue temple of Tiffany & Co in 1956, creating everything from shoe advertisements to Christmas cards. These cards were subsequently published by Tiffany’s every Christmas up to 1962, when he started to create his famous Campbell’s Soup works. The work A Whole Stocking Full of Good Wishes from 1956 is part of this oeuvre. 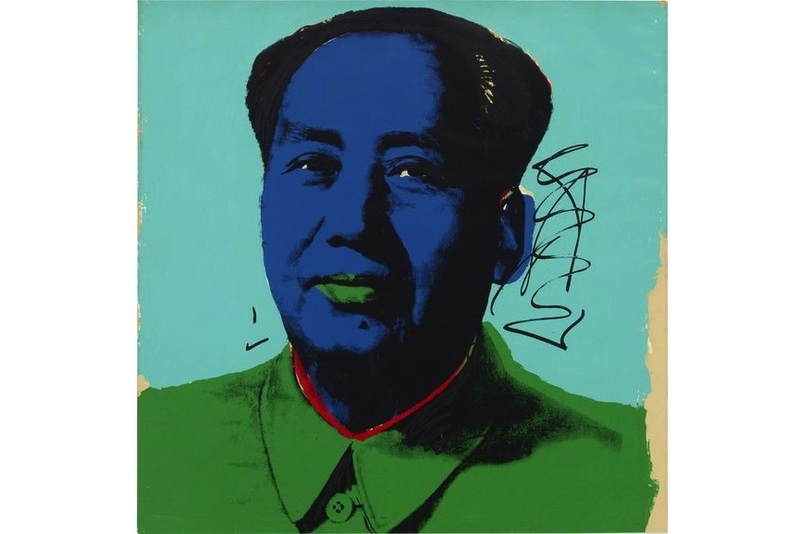 The Mao series was created in a period when Andy Warhol was taking many commissions for celebrities. 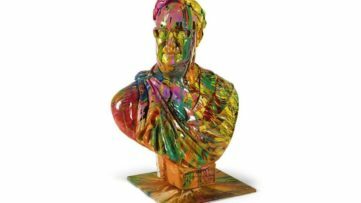 In this piece, he fuses together the image of totalitarian propaganda and the colors found in his celebrity portraits to demonstrate the cult of personality surrounding the Chinese ruler, Mao Zedong. Bright colors are applied in a makeup-like fashion, providing a form of personalization to the image. The work Paramount (II.352) is part of Warhol’s 1985 advertising portfolio, a series of ten works where the artist transformed everyday advertisements into colorful works of art, demonstrating how public figures and icons are also characters for mass consumption. 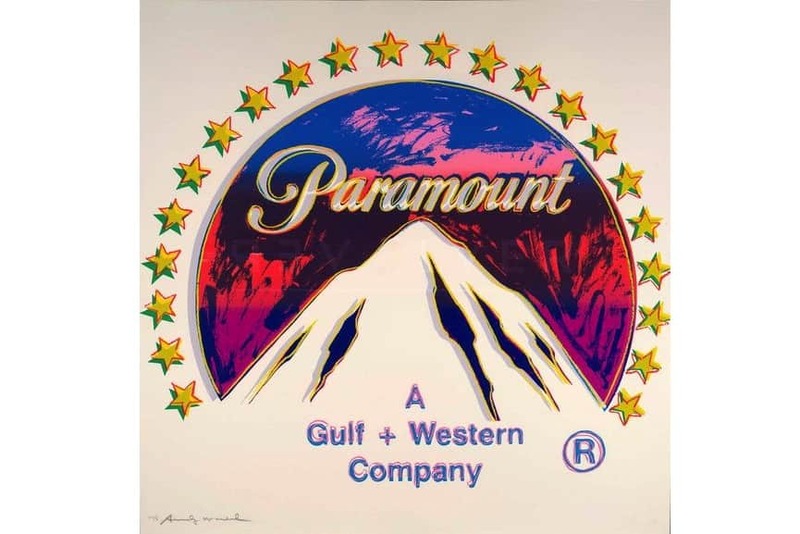 In this work, the artist recreated the iconic Paramount logo, perfectly embodying the commercial nature of American society. Manipulating color, the artist rendered the image and the text to appear almost three-dimensional. He once said that the movies have been running things in America ever since they were invented. They show you what to do, how to do it, when to do it, how to feel about it, and how to look how you feel about it. 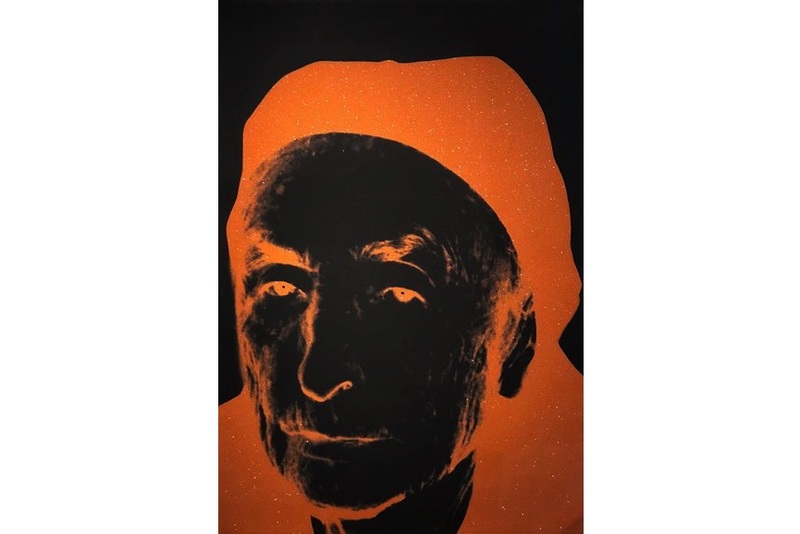 In 1979, Andy Warhol immortalized the only encounter he had with the acclaimed American painter Georgia O’Keeffe in a highly coveted series of diamond dust prints. With its large stature, magnificent depth of color and sparkling diamond dust adornment, this portrait is grand and mesmerizing. It also brings a palpable sense of intrigue about the meeting and relationship between these two important figures of 20th-century art. 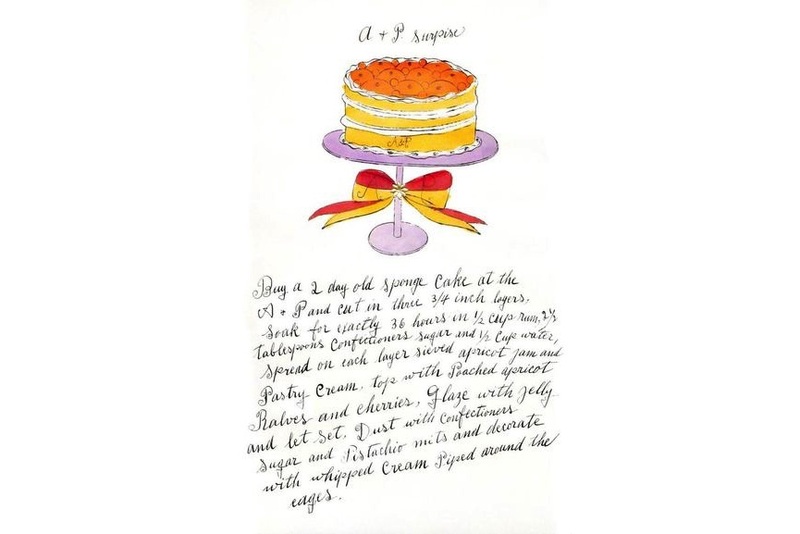 The work A & P Surprise from 1959 is also a part of the work Warhol created while working for Tiffany’s as an illustrator. In these sketches, Warhol masterfully blurs the thin line between commercial design and fine art. Using a range of familiar motifs, he had painted a perfect vision of Christmas, one he had always envisioned as a child. Andy Warhol used his camera to immortalize many interactions with the social and celebrity elite of his time. He also sized up his friends and acquaintances, as well as himself, with merciless precision, creating a visual analog to the artist’s diaries, which were tape-recorded phone conversations. 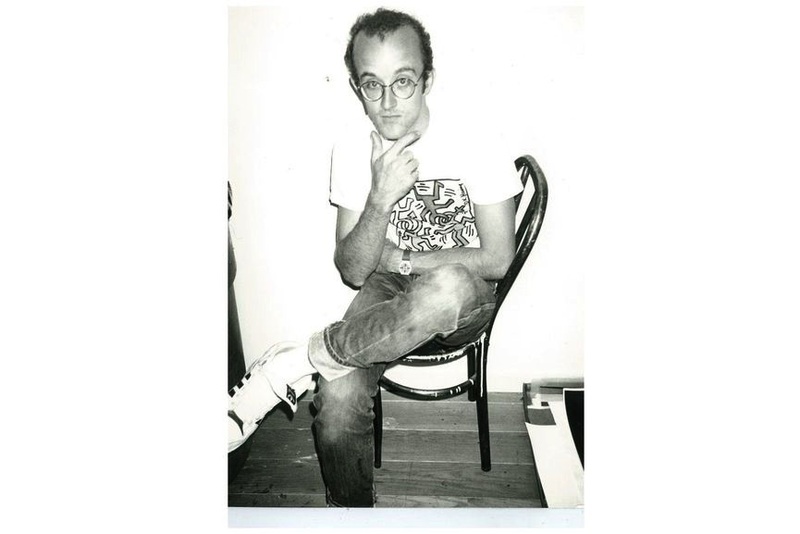 A frequent visitor of The Factory, Keith Haring became good friends with Warhol, becoming the subject of many photos taken during the time by the artist. From the 1970s until his death, Warhol made tens of thousands of Polaroid prints, often serving as working studies for his commissioned society portraits. 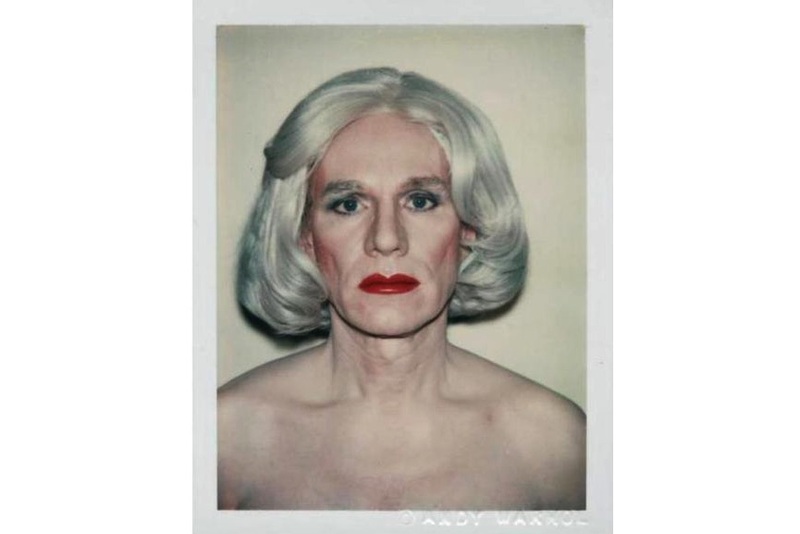 Among these was a series of self-portraits in drag, on which Warhol collaborated with photographer Christopher Makos in the early 1980s. Having a long-standing interest in drag queens, and more broadly the construction of an artist’s identity, in these works he presented one of his carefully constructed masks. 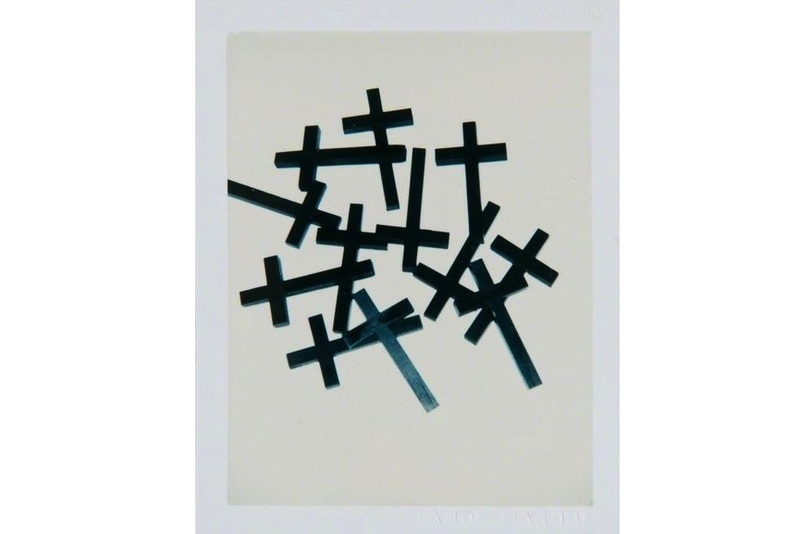 The artist explored faith through a range of works, including this Polaroid print from 1982 titled Crosses. 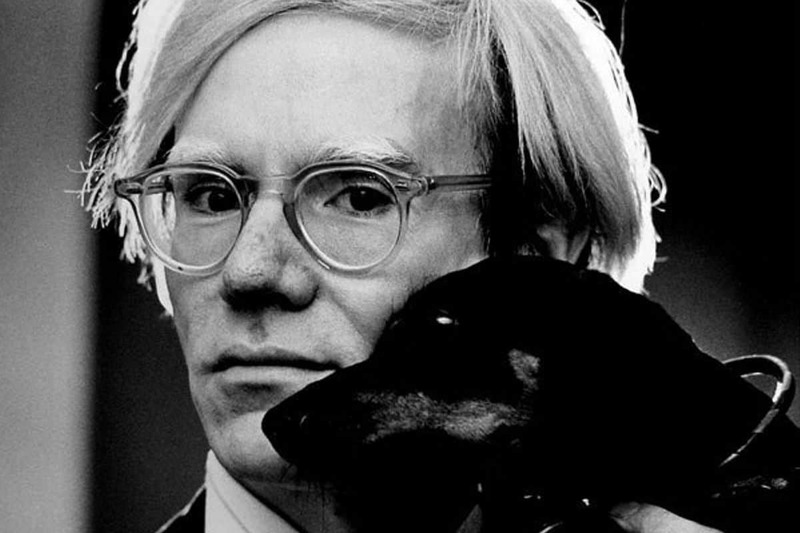 Andy Warhol became a close friend with the Italian fashion designer Gianni Versace in the 1980s, through their shared appreciation for art, design and the media. 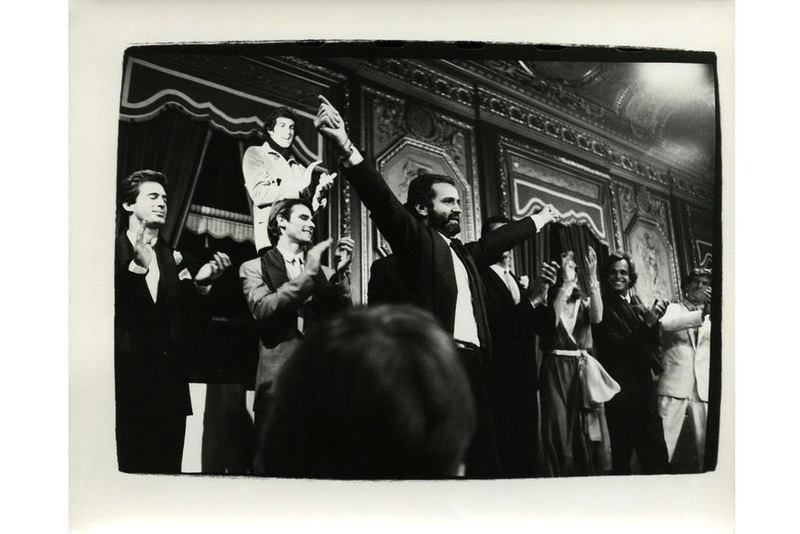 While Versace’s collections were often inspired by Warhol’s art, as seen in the Pop art Medusa icon of the brand, the designer was a subject of a range of Warhol’s photographs, such as this work captured in 1980.